“Plane Bae” and K-Pop fanfiction are the same: entertaining yet absolutely problematic. No, they had not done anything particularly spectacular. The two talked and discovered that they are both personal trainers, talked about fitness, visited the restrooms at the same time, changed clothes and disembarked together. However, the reason I and thousands of others around the world know this is that Rosey Blair documented the whole thing via social media. What Blaire narrated as a chance encounter romance was equal parts entertaining, exciting, invasive, creepy, and problematic. She had eavesdropped on their conversations and share photos and videos of the two for her social media story. The problem with the whole situation was that it was done without the man and the woman’s permission. These were two regular human beings on a flight, and unbeknownst to them, Blaire used them as material for what was essentially a live fanfiction. While some saw read the story and enjoyed the perceived romance others like Verge writer Katherine Cross felt that it was a symptom of our “sousveillance” culture where people mine others around them for content using their mobile phone (particularly the cameras) as the medium to do so. Indeed, what I find most troubling about the Blairs thread of anecdotes, photos and videos is the applied narrative. It placed the two squarely within a romantic framework that they had no control over. Who is to say that both involved are cis-gendered? While the man on the plane has come forward as former soccer player Euan Holde, the woman has sheltered away from the public’s gaze. She has refused interview inquiries and has asked not to have her name revealed. But this is K-pop. What does Plane Bae have to do with K-pop? Answer: fanfiction. Fanfiction ( also known as “fanfic” or “fic” for short), are original stories that use existing material from media or text. Rather than follow the same timeline as the original product, these fanfics often veer to explore a different plot or focus on particular characters. In the K-pop fandom world, is an undercurrent of the broader culture. It is there, but is not as mainstream as other fan-produced products like “slogans” or “seasons greetings” curated and created by “master nims” and “fansites.” However, they are easily accessible. 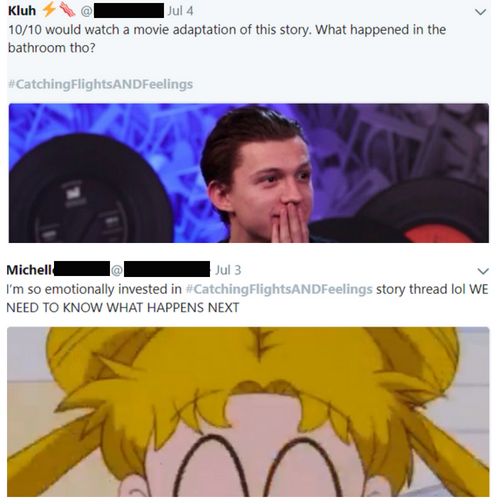 I am sure at some point fans have scrolled through social media and come across a fanfic thread, link, or even a discussion or request for a particular plotline to be produced. The vast majority of K-pop fanfiction can be defined by specific characteristics, especially when it involves an idol group. Most are member-oriented meaning that the members of a particular group are the protagonists. Usually, the action is confined within the group and between the members. More, for many fanfiction writers romance is the genre of choice. The plotlines for these stories usually include an affair involving two or more people in the idol group with other members not involved in the central romance act as plot motivators. Further, age is often altered to suit the story such as reverting some to infancy or childhood whereby the intended romantic couple takes on caretaker roles. Lastly, many fics incorporate sexual desire, tension, or action. Sans the parts that are group members (and dynamic) specific and age warping, “Plane Bae” includes the same characteristics. The poster, Rosey Blair was the initiating plot motivator, and in her live fanfiction, there were hints of desire and tension. At first blush, this may seem to be where the similarities end, but there are more. K-pop fic writers and Blair both pulled inspiration from real people who had or do interact in the real world to construct a romantic pairing. What is particular about K-pop fanfiction is that through their voyeurism of the subject matter (K-pop group/ celebrity) and use what they see and hear to not only construct “ships,” but to also attempt to replicate what they believe is the personality, speech style, love language and more of the celebrities involved. On top of that, K-pop writers go a step further by assigning individual qualities they have no way of knowing without Idols sharing individually (which most have not). In particular, a celebrity’s sexual orientation. Instead, they construct these real people with a sexual orientation of their choosing to suit their narrative. Interestingly, Tosenberger connects this exploration to fandom size. The larger the size, the greater the diversity of ages and sexuality of its members will likely be present. Now, think about K-pop and there fandom. This month, BLACKPINK broke the YouTube record as the fastest K-pop group to reach 200 million views. Additionally, with this mix, an “ideal ground for exploring many varieties of non-heteronormative discourses in fandom” is created. However, in addition to exploring different sexual discourses, there are other possible motivators for the predominance of homosexual focused fanfiction. Namely, obsession, possession, and insecurity. In the Korean entertainment industry, this is products to be absorbed are presented in the form of social media, multiple comebacks a year, official blogs or fan cafes, fan service and direct interaction in the way of fan signs, fan meets, and services like Twitter’s Periscope, Instagram Live, and Naver’s V-App. The downside of this model is that the different forces or reasons motivating the absorption can “take on an addictive component, leading to more extreme (and perhaps delusional) behaviors” as a way to sustain the fans’ personal satisfaction and the “relationship” they have with a celebrity. This is where the sexual orientation assignment becomes even more significant. 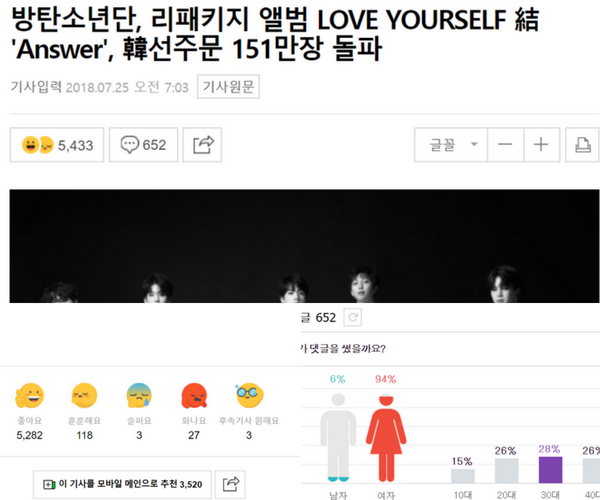 Considering that most fans of boy groups appear to be women, it would be safe to say that these female fans have a hetero-attraction to the men in the group — at least to a certain extent. Given that the majority are female, it might also be safe to assume that the majority of the fanfic writers are of the same gender. By creating homosexual romances among group members, these heterosexual writers quarantine these artists from real, heterosexual, romantic relationship they might have in the real world. They deny the possibility of this reality. Further, by doing so, the K-pop stars remain as available boyfriend/ girlfriend archetypes for fan writers to consume. It is dehumanizing, to say the least. They are attempting to observe and control every detail about these celebrities’ lives — even their love. Other problematic details that need to be addressed is the possibility that heterosexual individuals are writing these stories that explore homosexual discourse and narrative. Subsequently, these writers are attempting to explore relationships and nuances they themselves will likely never experience in their lives. Moreover, some take these fantasy ships off the internet and into the real world, pointing to an inability to differentiate the two. 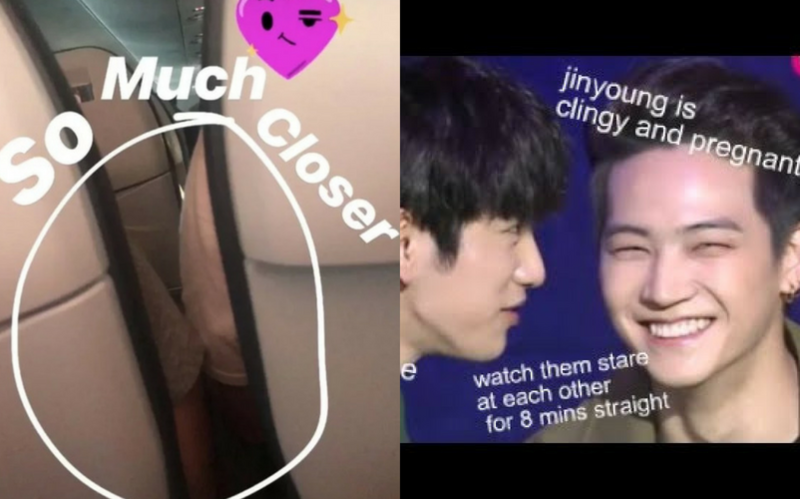 Like the “Plane Bae” saga, fans mine K-pop idols for content that spurs the creation of these stories. Hopefully, like “Plane Bae” it will also instigate a conversation about privacy, identity, consent, and ethics.